An inimitable style for unique and exclusive items: since 1980 7camicie, the historic italian brand specialized in shirt production for men, women and children, has designed special collections of comfortable and fashionable clothes, items designed to satisfy the ever-changing needs of the market, with its ranges of classic, casual and fashionable shirts; 7camicie stands out for its constant research and experimentation as well as for the quality of its items. A leader in shirt production, the brand has succeeded in reinterpreting the traditional shirt, the passepartout par excellence, through a new, forward-looking vision. 7Camicie boasts the largest franchising network in this field, with hundreds of stores on four continents and a worldwide success. 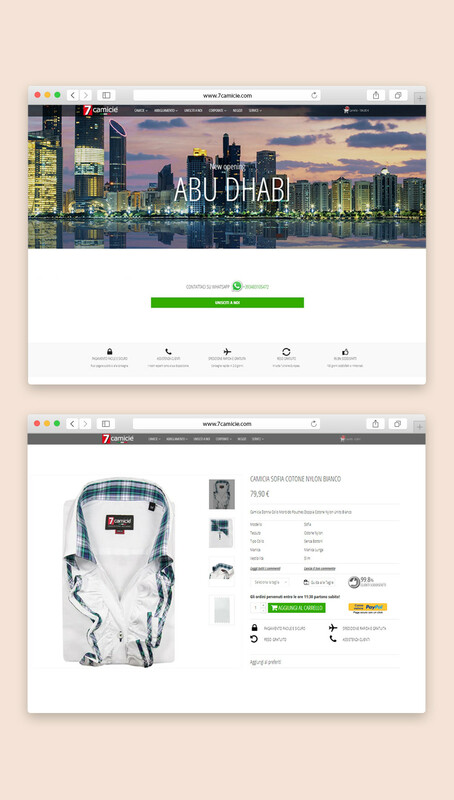 Buying in 7camicie online shop has become a much easier and pleasurable experience! 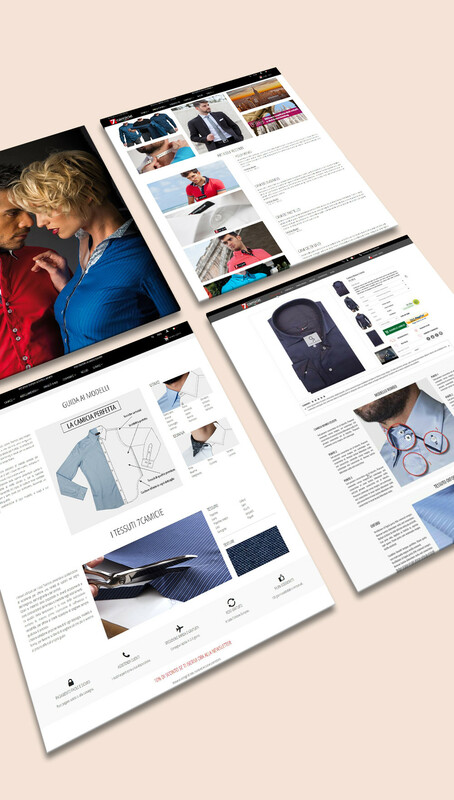 The homepage opens with a wide slide: a video representing a brief show provides an overview of men’s and women’s shirt collections. The lower section is dedicated to banners that allow direct access to the catalogue. Just like a physical store, the online shop decorates its windows by showing the wide selection of products. But the great innovation is made up of the catalogue and the product page that feature new contents and functionalities in order to make the purchase experience much easier and pleasurable. New search filters have been introduced in the catalogue page. There are several selection options: colour, size, style, pattern, neckline, buttons etc. and a new display mode. The product page has been enriched with new contents so that the user can find any useful information on the product such as an accurate model and fabric description. The Pattern Guide provides detailed information on every pattern through photographic, video and textual material. The Shop by Size form allows to filter the shirts which are available in the desired size. Whatever your device, the site will adapt to your choices for a convenient, fast shopping experience.